Big Bottom Steaks – Every Day! 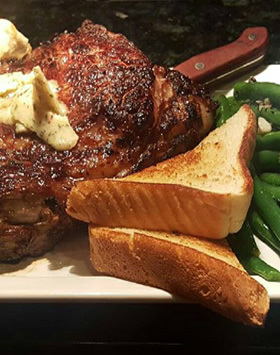 Every day at our restaurant location on Country Club, stop on by for our hand cut, made to order ribeyes! The biggest cooked one thus far has been 25 ounces! Can you top that? Don’t forget to try one of our brews while you’re there!